We believe each citizen owes it to himself to find out as much about ID cards as he can, as a matter of self-defense. This section will remove the mystery from ID cards and reveal the government's paper reality for what it really is: Only Paper. In this section you will find out all you ever wanted to know about Fake ID, from the best ways to get it from the government, to how to make your own, to make-up and plastic surgery. 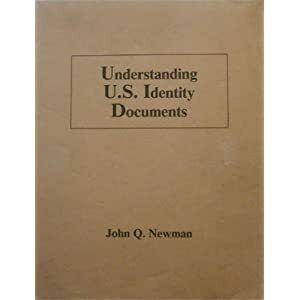 The most detailed examination of identity documents ever published. This guide is a must for all new identity seekers and anyone interested in identification, false identification and alternate ID. You know who you are, your friends know who you are, but thousands of people you deal with in government and business know you only from a document. If you alter your documents, you can evade taxes, regulation and supervision. This book covers birth certificates, social security cards, drivers licenses and passports. It shows how each document is generated and used, it explains the strengths and weaknesses of the agencies issuing them.